Fresh from the waters of baptism and --- before that --- significant soul searching and Bible study, Bethany Olson has been told by her new Adventist brothers and sisters that she can stop thinking. Now that she has accepted all available new light and taken a leap of faith into vegetarian Sabbath keeping, her flock is satisfied she has arrived. 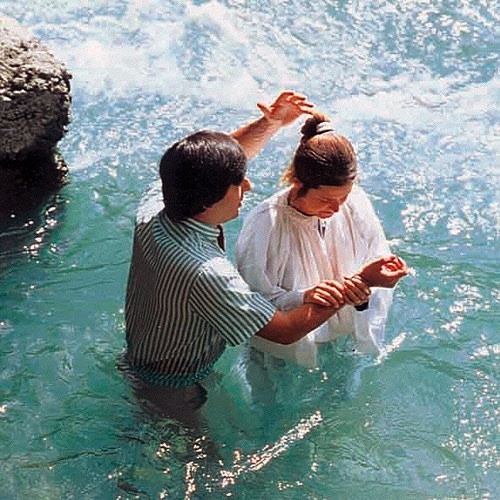 In stark contrast with prior instructions from church members encouraging her to "forget what you think you know," "study the Bible for herself" and "dare to dig deeper," she has been assured that she can now leave the heavy doctrinal lifting to the experts. "The beauty with having the present truth is that you have finally made it beliefs-wise" said Olson's Sabbath School teacher. "From here on out, the motto is Reinforce, Don't Revise. And maybe reach for the stars with a vegan cooking class." Uh oh. This isn’t satire anymoe. Just the facts, ma’m, just the facts, said Sgt. Joe Friday. Bazinga! This one has a little bite to it. “Vegetarian Sabbath keeping”? Does that mean she is a vegetarian only on Sabbath? I remember very well going to Academy memorizing the 365 Key Texts to “prove” the 365 Key Doctrines of Seventh Day Adventism.